These four building plots are found at a tarmac road, at a hillside, just before the village. Due to their location they are ideal for the construction of luxury residences. The small village of Agia Triada is close to the town of Rethymno on the north coast of the Greek Island of Crete. Not to be confused with another Agia Triada, which are the archaeological ruins of a Minoan Palace on the south coast of the region of Rethymnon or the Monastery of Agia Triada, located close to Chania. The quiet and picturesque village of Agia Triada is just 11km from the bustling town of Rethymno and is in the foothills of the highest mountains in Crete, Mount Ida in the Psiloritis range. The nearest beach is found in a distance of 5km in the area of Adele, a health centre is 6km away, and amenities such as taverns, shops, super markets can be found in Pigi approx. 3km far. It's the perfect get away from it all location but close enough to more vibrant nightlife, if you want it. Agia Triada is the perfect location for nature lovers. Walkers, hikers and cyclists love Agia Triada because of its many trails, treks and gorges. 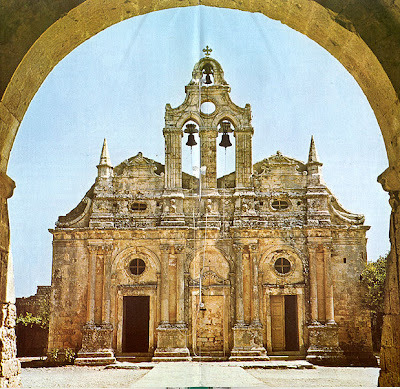 There is limited choice of accommodation in Agia Triada, even the historical and important monastery of Arkadi is just 9km away.